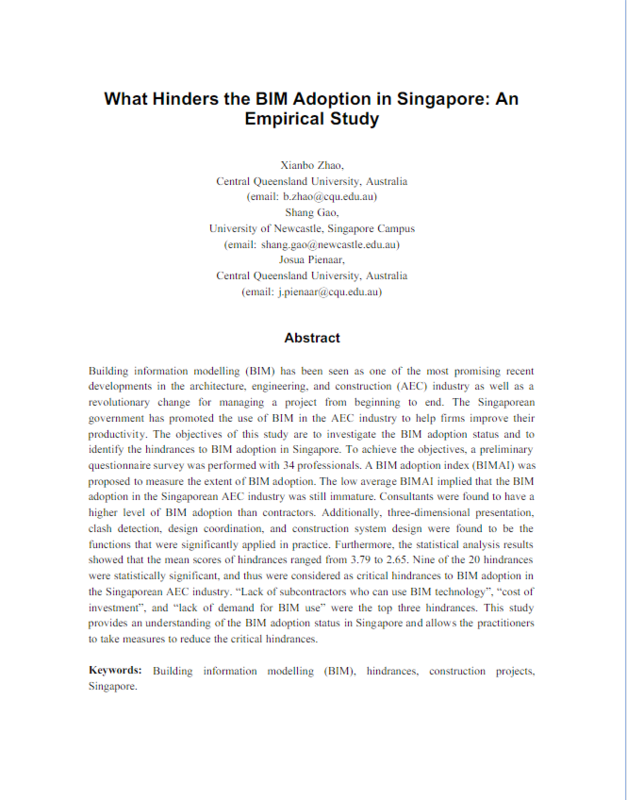 The objectives of this study are to investigate the BIM adoption status and to identify the hindrances to BIM adoption in Singapore. To achieve the objectives, a preliminary questionnaire survey was performed with 34 professionals. A BIM adoption index (BIMAI) was proposed to measure the extent of BIM adoption. The low average BIMAI implied that the BIM adoption in the Singaporean AEC industry was still immature.